Built in 1891 Argyle House is steeped in history, first known as the Argyle Temperance Hotel. 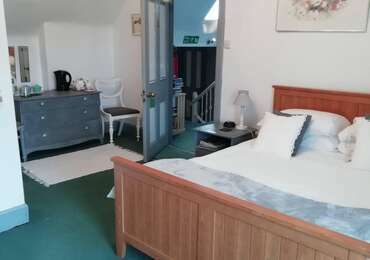 It has evolved to a cosy bed and breakfast retreat in this charming village which is centrally located in the Cairngorm National park. Although the building is old it offers modern conveniences, located on the Crown Estate of Glenlivet, and is the highest village in the highlands, lying at a height of 1170 ft (356m), and proudly claims to be the North East gateway to the park. Introducing you to the doorstep of some of the most wonderful scenery and activities that Scotland has to offer. Argyle Guest House has a total of 6 rooms offering a variety for almost anyone - family rooms, twin and double rooms, simply decorated and very spacious. Four of the rooms are en-suite leaving only two with a large shared bathroom on the same floor. Each room boasts a television and tea and coffee making facilities. 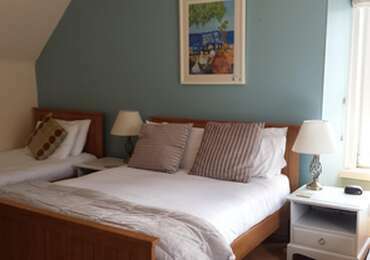 We look forward to welcoming you at the charming and delightful Argyle Guest House bed and breakfast. All rates include a wonderful cooked breakfast. All rooms are non-smoking, with 24 hour access. Check in is from 4pm to 8pm, however alternative times can be arranged by special request when booking. Check out is 10.30am. A medium sized room which can take 2 adults – overlooking the hills that surround the village. Ideal for 2 people. This large family room is ideal for up to 4 adults ,with dual aspect windows. Ideal for longer stays or as an affordable upgrade. This large family room is ideal for up to 4 adultswith dual aspect windows. Ideal for longer stays or as an affordable upgrade.